So you love truffles? 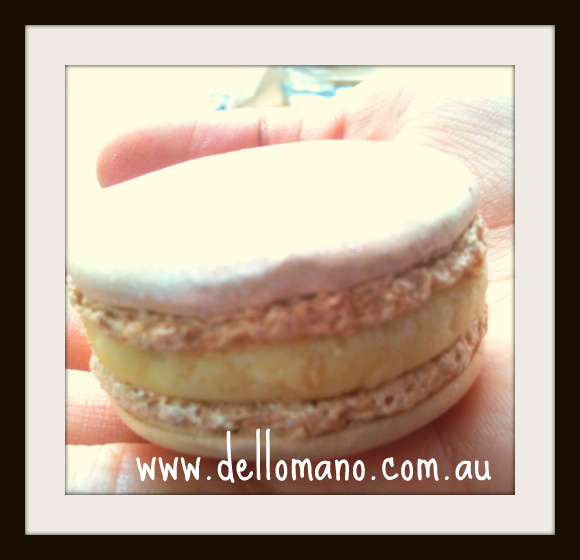 Here at Dello Mano, we do too! Next to brownies, our truffles are all-time best-sellers. Well, everyone loves truffles. These wonderful and luxurious rounded chocolate-coated chocolate treats are really addictive, and are often given as gifts. Truffles are very rich and luscious chocolate balls made from ac chocolate ganache. They’re are often rolled in cocoa powder, and are named after a precious and very expensive truffle fungus because of their physical resemblance. Now, there are many versions of chocolate truffles, and aside from the traditional cocoa powder, they are also rolled in confectioner’s sugar or finely chopped nuts, and even spices like paprika. 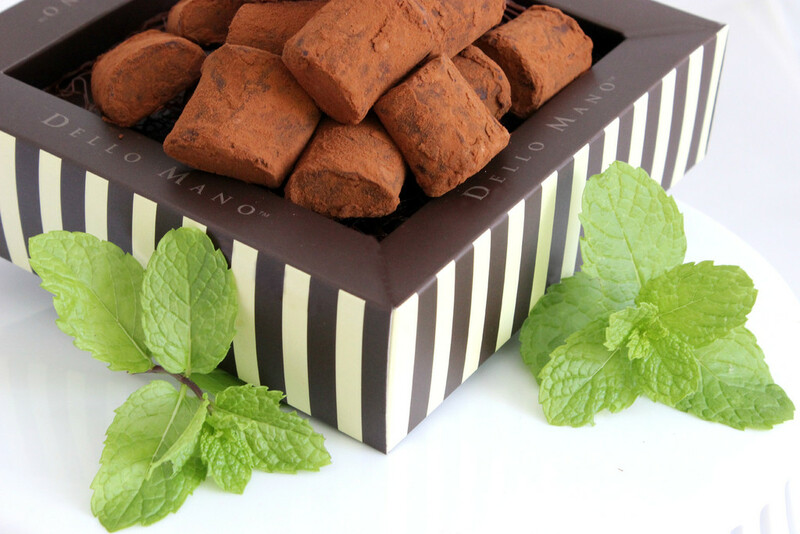 Dello Mano’s hand rolled velvety dark chocolate truffles come in Classic Belgian Chocolate, Madison Mint and Strawberry flavours. Of course, you can always order from our online store to experience handmade chocolate truffle at its best, but it is also enjoyable to make your own sometimes. And in this article, we’ll make that part easier for you. Making supremely rich truffles from scratch can be really fun. You can even make variations to a traditional recipe. But first, you’ve got to know how they are made. Basically, truffles are made from chocolate ganache. You will find several ganache recipes online and the main ingredients are too few to forget: heavy cream, chocolate and a bit of butter. 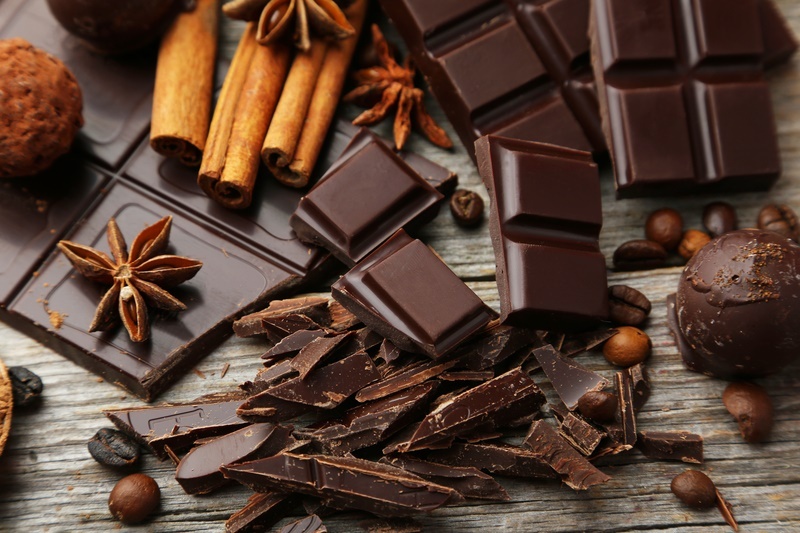 Since there are only three, it is important that you choose quality ingredients, especially when it comes to chocolates. Here at Dello Mano, we only use the finest quality Belgian chocolate not just in truffles and brownies but in our cakes and other chocolate gifts as well. 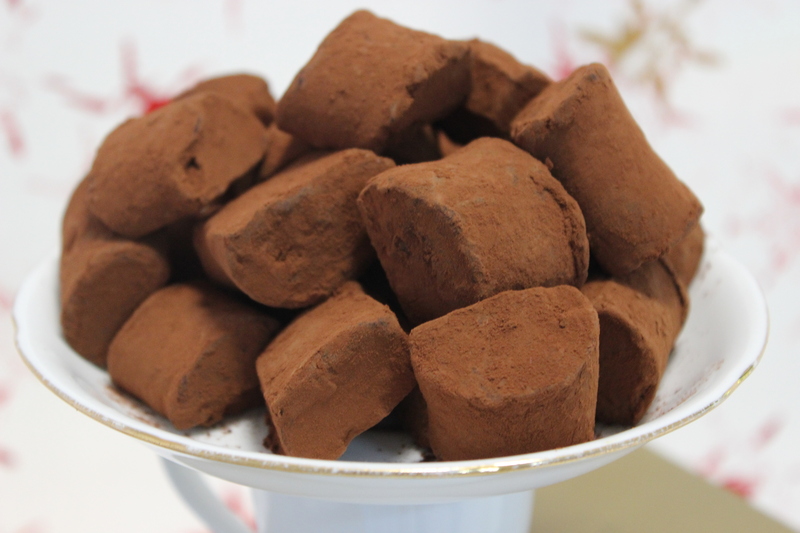 Dark chocolate is a popular choice for truffles because it offers an intense and really addictive chocolate flavour. Once the ganache has cooled and has a pudding-like consistency, it is now ready to be moulded into small yummy balls. Do you think the work is done? Well, actually, you’re just starting. 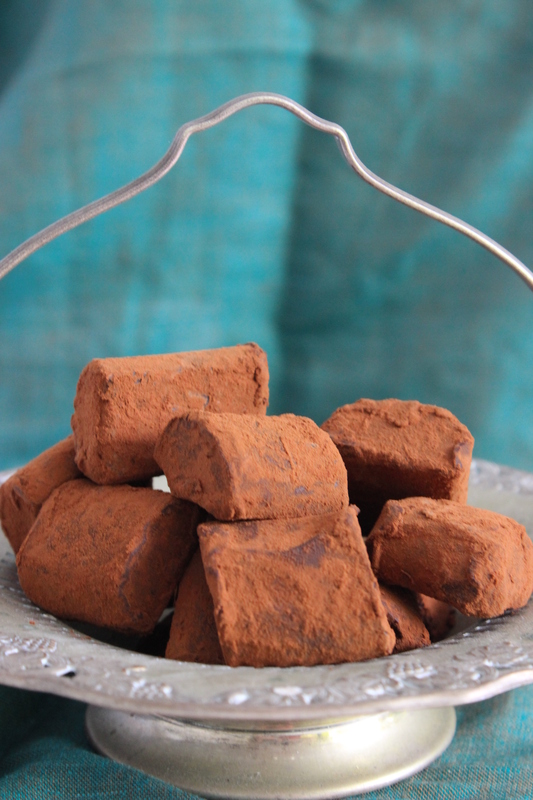 Below are some great tips to make homemade truffles that really stand out. Finely chop the chocolate. You want to take time chopping the chocolate. This would ensure that it melts evenly and completely in the cream. Also, make sure that your butter is in room temperature, so again, it melts properly and evenly in the mixture. Take off the whisk. When making the ganache, do not use a whisk. Stir the milk and chocolate mixture using a rubber spatula. Whisking causes more air to incorporate into the mixture, which would result to crumbly, instead of smooth truffles. Work quickly. Work quickly with the ganache when shaping or dipping them. When your ganache gets a little warmer, it may lose it shape. If rolling in crushed nuts, cocoa powder, or chocolate sprinkles, do it immediately after dipping the truffle in the melted chocolate. This allows the coating to stick firmly to the truffle. You can try other coatings like desiccated coconut, coloured sugar crystal, chopped dried fruit, and many more. Let them sit. Leave your truffles to set after you dipped them into the melted chocolate and rolled in the coating. Place parchment paper in your tray to keep the truffles from sticking. Keep it airtight. Place your truffles in an airtight container, and store in the fridge. You can keep them for up to two weeks. Truffles are really irresistible, especially if they are homemade. So the next time you make your own, do not forget these tips. You will absolutely love the result! Well besides brownies , chocolate cakes are one of our all-time favorites. Come on, chocolate plus cake? Who wouldn’t fall in love with this perfect combination? They’re so irresistible. 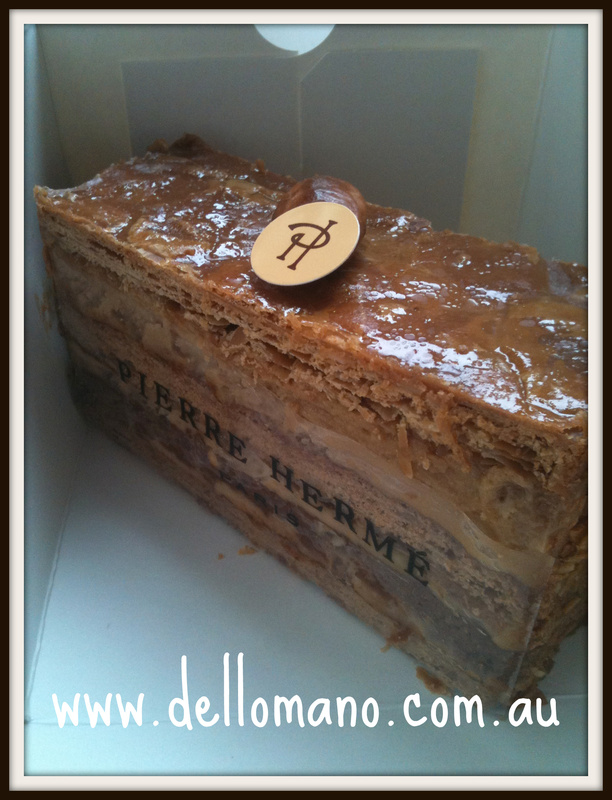 We handmake several chocolate cakes here at Dello Mano like our best selling Divine Belgian Chocolate Mousse Cake. 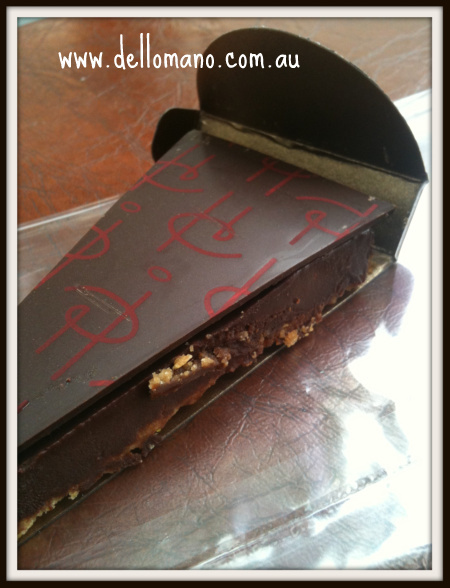 Dark Belgian chocolate – the taste of perfection! 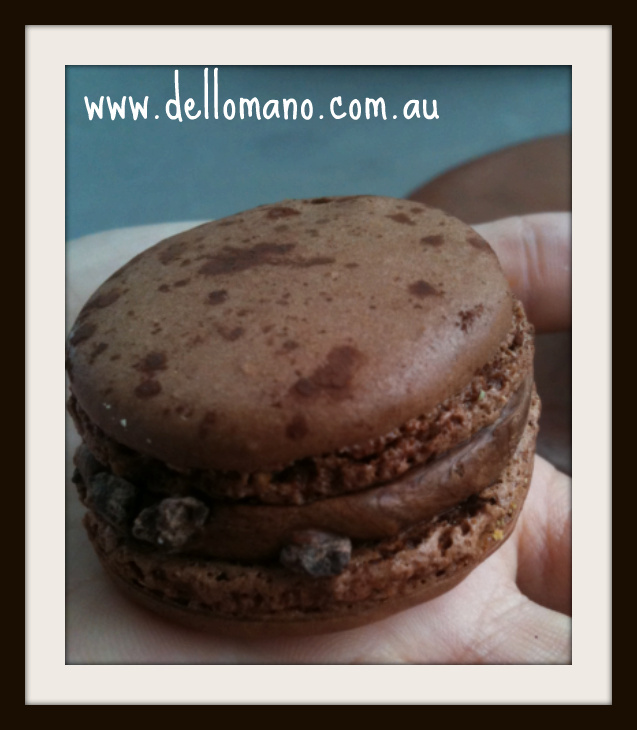 Like these delicious chocolate cakes from Dello Mano, you can also make your own handmade cake at home. 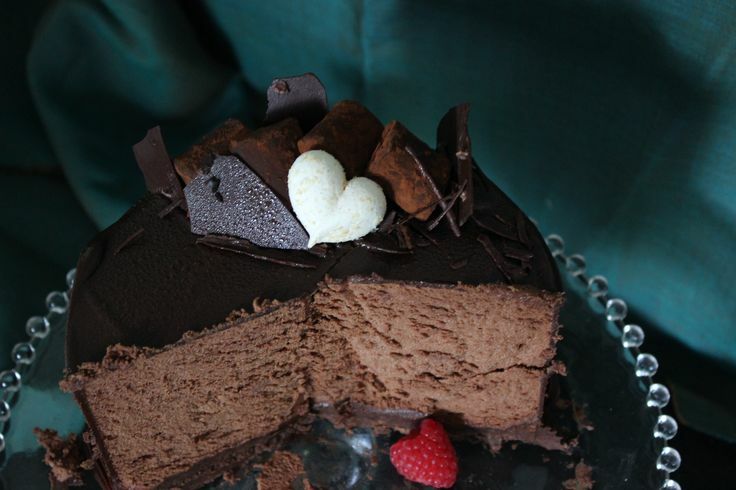 Remember though, it’s one thing to have a great chocolate cake recipe but there’s more to creating a wonderful chocolate creation than just the recipe. So, here are 6 great tips to help you create the perfect chocolate cake. 2. Use the right flour. While all-purpose flour may work for many situations, it isn’t right for every cake. Always remember that the lower the protein content of the flour, the more tender the cake. The key is to match the type of flour to use with the cake you are baking. Cake flour is best for making cakes with a fine, tender crumbs, like pound cake and sponge cake. 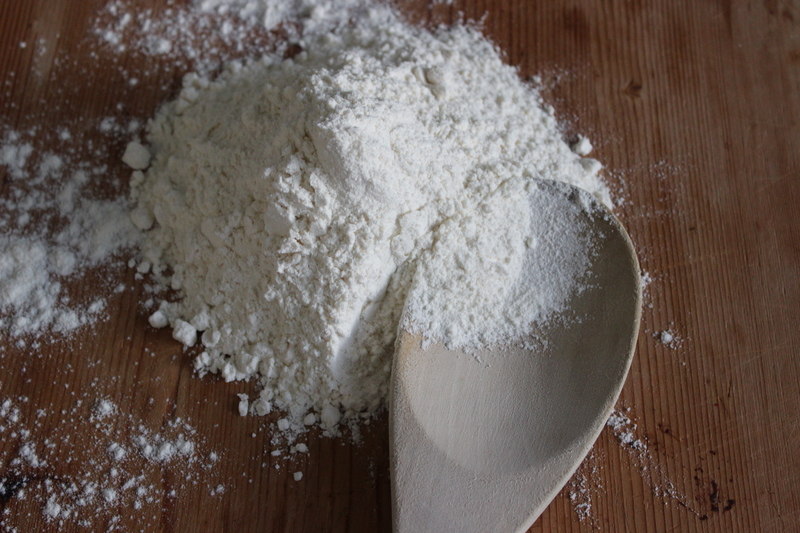 It is always best to sift flour before adding it to the batter to prevent clumps. Take it from the Food Scientist, yes, baking really is chemistry. The correct chemistry in relation to the key ingredients serves as the foundation for a perfectly baked chocolate cake. It is important therefore, that you understand what each ingredient does to the cake. For instance, flour thickens the batter and releases gluten which gives the cake its structure. If you over-mix the batter, your cake becomes tough. Meanwhile, fats like butter, shortening or oil, impedes gluten formation while also providing moisture for the cake. Aside from sweetening your cake, sugar also helps break up gluten to keep the cake tender, enrich its flavour, and help the cake brown. Egg yolks acts as an emulsifier which allows fats and water to mix well, producing an even texture. So real chemistry! 4. Keep everything at room temperature. You probably are used to bringing butter to room temperature before you start creaming it, but it’s just as important for the eggs. If the eggs are cold, they won’t emulsify properly, which has a great effect on the texture of your cake. If you’re short on time, place the eggs in a bowl of warm water for 10-15 minutes, or crack them into a bowl and leave sitting on the counter. The quality of ingredients you use is very important if you want your cake to have the perfect taste, moisture content, and texture. They may be a little pricey but the investment is worth the price. 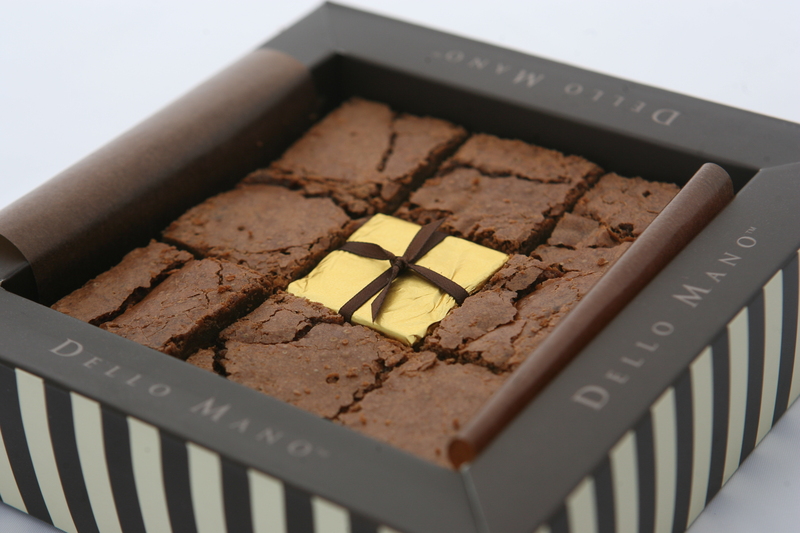 At Dello Mano, we use superior quality ingredients to ensure the richness and luxurious flavour of our cakes and brownies. In particular, we use real butter, eggs directly sourced from the farm, and high quality Belgian chocolate. 6. Frost like a pro. 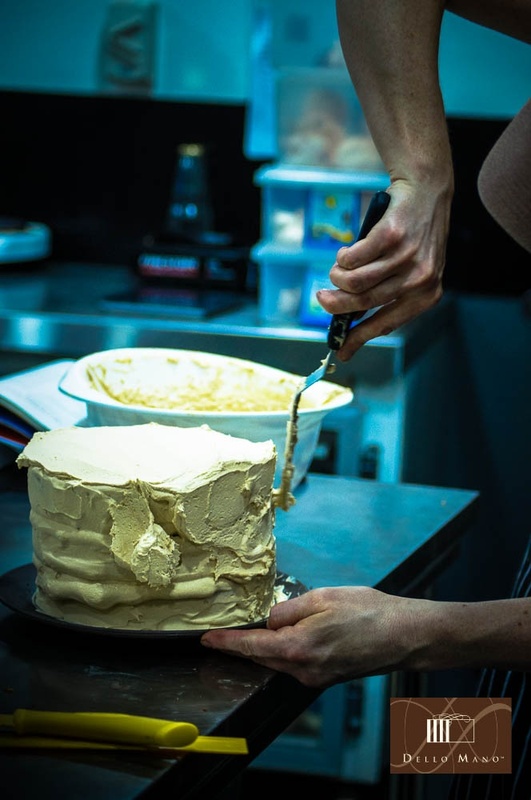 It really helps to have the right tools on hand so you can frost the cake with ease. Remember however, that frosting does take a little more time. Put a small dollop of icing in the centre of your platter. This will serve as a glue so your cake doesn’t move as you frost it. Use an offset spatula to frost the top of each layer, and coat the entire cake. Be generous with the frosting! Everybody loves frosting. Icing a cake is an artful process. So just enjoy the moment. Let yourself achieve a state of flow. You will love this part! Making the perfect chocolate cake with a dense flavour and rich texture is fun and easy with these tips. Hope you enjoyed them. Happy baking! 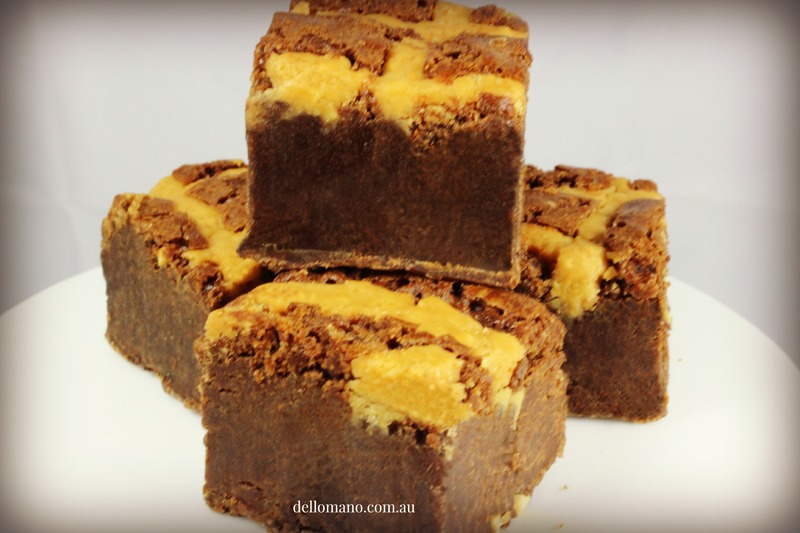 We all have days when the only thing we want to do is eat brownies – well at least we do here at Dello Mano🙂 -lots and lots of brownies. The dense flavour of chocolate, plus the creamy texture of the brownie seems to burst in your mouth and is indeed a delightful experience… a very nostalgic one. 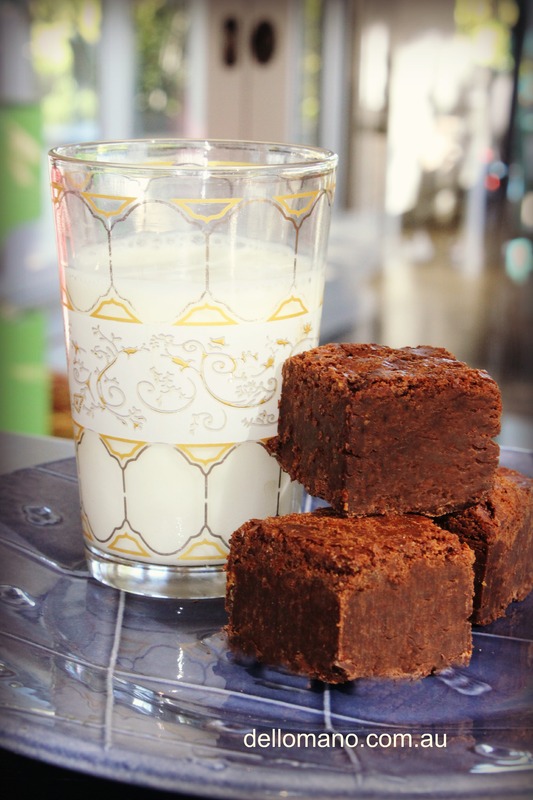 Like a childhood memory of an afternoon snack like this: brownie plus a glass of warm milk. Yum. And on those days, a packet of commercial brownie mix seems to be life-saving. But no. You just don’t want to fulfil your cravings. You also want to satisfy your taste buds. You want something special and really delightful. Not just sweet and chocolate-like. Why settle for just a good brownie when you can have the best? Handmade brownies are very special because you know you are making something from the real thing. Real eggs. Real butter. 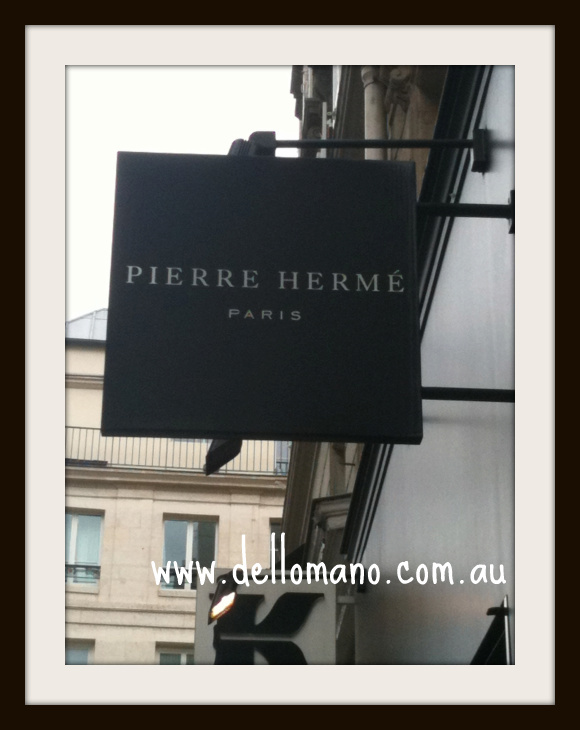 Real and premium chocolate- just like we use here at Dello Mano. Not just a hefty amount of flavourings. What’s more, you can tailor the recipe to create something that perfectly fits your taste. Baking is fun too. I don’t know about you, but for me, it has a therapeutic effect. 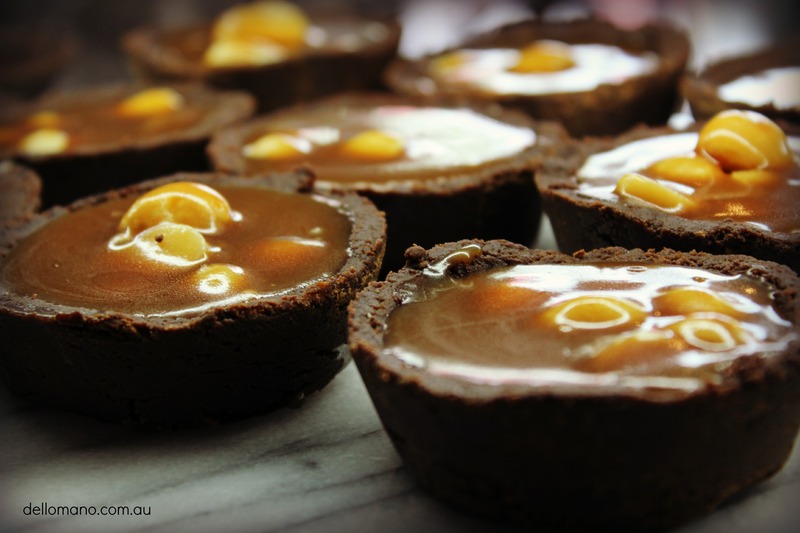 Baking engages all your senses, turning your mind and body into a mindfulness state. It’s really healing. But of course, just like baking cakes, pies and cookies, baking brownies can sometimes be messy and time-consuming. But worry not, we’ve got some baking hacks that will surely make the brownie-making process much easier and a sure-fire success. So you’d have less time stressing and more time enjoying your handmade brownie, up to the last crumb! Keep everything in room temperature. It’s really tempting to start baking right away as you think of it, but if your eggs and butter are still cold, you may not get the result you want. As they say, ‘good things come to those who wait’. So let all the cold stuff sit on the counter for an hour or two until they are in room temperature. Can’t wait? Fine. There’s a hack. Crack the egg into a bowl, and then slice your butter into small cubes. From more than an hour, you would only have to wait for 15 minutes. Don’t over mix the flour. You don’t want to stir your batter too much as you add the flour. Make sure your flour measurement is correct. Doing so will overdevelop the gluten in the flour, which will make your brownies too dense and chewy. You know you’re done folding the flour in the batter when there are a few white streaks left on the surface. Use an oven thermometer. Most ovens are off, temperature-wise. Whether it’s warmer by just 25%, it still makes a big difference. So it really pays to have an oven thermometer around. It’s very cheap but very helpful. Your brownies will thank you. Use parchment paper. Make your life easier by placing parchment paper in your baking pan. Make sure to make it an inch or two longer in the sides, so you can easily pull your brownie once it’s done. Add one more egg for denser, fudgier brownies. If you’ve been baking for quite a while now, you probably have noticed that egg yolks add richness to the batter and the egg whites produce a more-cake like texture. Let it cool before you cut. 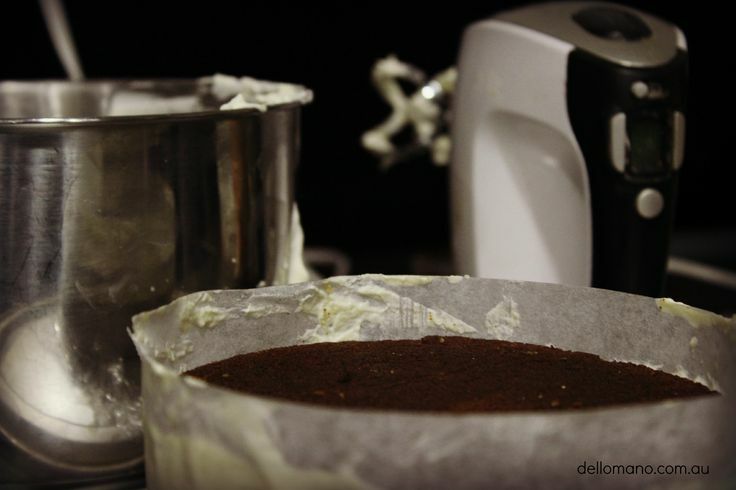 Cutting the brownie into small squares while it’s still warm can cause crumbling. Sure, you don’t want that. So let it cool before you slice them. Patience is a virtue. Use a timer. Yes, you know why. Don’t leave out the melted chocolate. Combine melted chocolate and cocoa powder for balance of flavour and texture. If you just use cocoa powder, your brownies are likely to be dry and crumbly. Adding melted chocolate adds moisture and richness to your brownies. Understand your bakeware. Make sure you are using the right pan with the right size for your brownie. If you’re using a metal pan, expect your brownie to cook faster. If you’re using a glass pan, it may take a little longer. There’s one thing you need to remember though: every minute counts. Check for doneness ahead of time. Make it a habit to check if your brownie is done at least five minutes before the time stated on the recipe. Just one or two minutes longer in the oven can turn a great brownie to an ‘eh’ brownie. When it comes to baking, how you prepare the ingredients is equally important as the recipe you are using. You’ve probably experienced stumbling upon a cookie or brownie recipe online that has a lot of good reviews. And like most people, you followed the recipe. Unfortunately, your yield did not taste and look as good as what is described on the website. You’re very sure that you used the right ingredients, and didn’t substitute anything for something. So you asked – what went wrong?